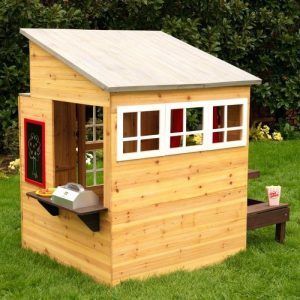 As a girl I spent many summer days with my cousins, and neighbours playing in our very own playhouse, or “cobby house” as we called it. My Grandmother converted an old garden shed into a pint-size house complete with a kitchen, table, chairs, and a daybed. We loved that only kids could fit in the wee little door, and that we had a special hideaway to call our own. This year Cela, and Remi got their own playhouse. There’s came in a box from Costco, and lacks a special handmade-by-Grandma-story, but the sentiment remains, lol. Cela has spent hours in her new cedar nook, hosting tea parties, and picnics with friends. The sign on the front window says “Cela’s Diner,” handwritten in chalk. 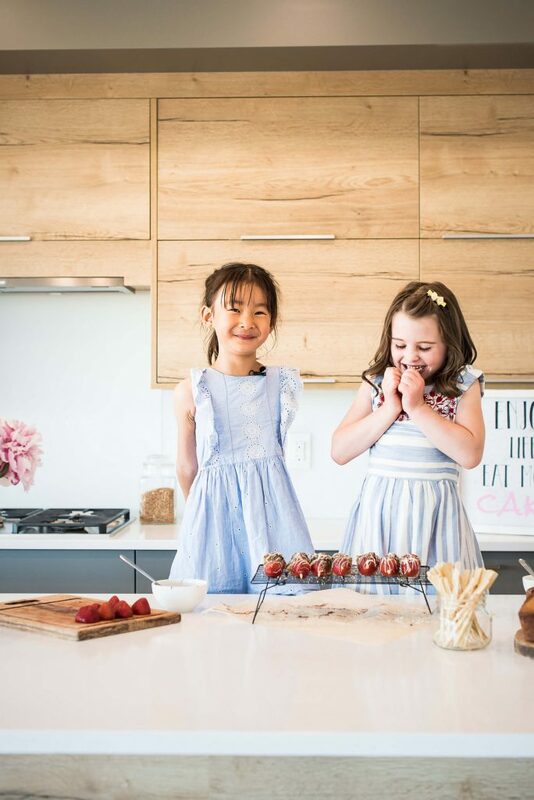 Remi was named “head waiter,” and eagerly taste tests all Cela’s summer creations before they make it on the menu. 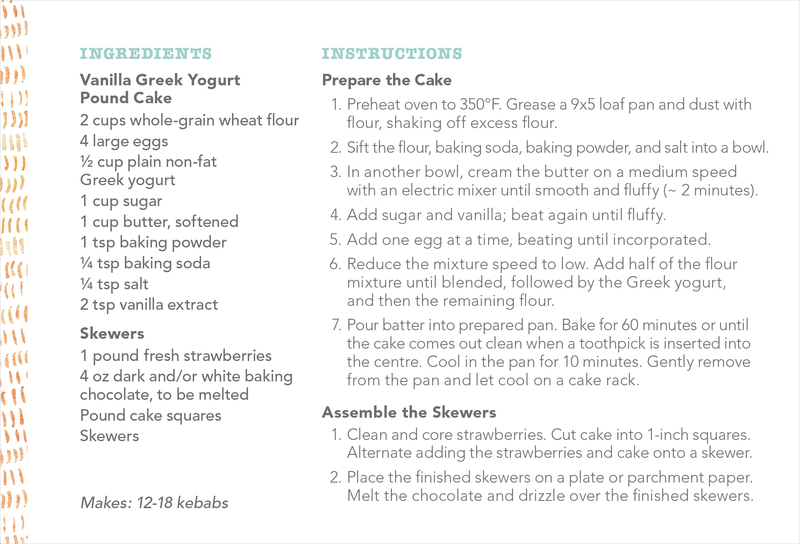 This kebab recipe is as yummy as it is beautiful. Alberta Wheat really shines with the with the nutty, and delicious goodness of whole wheat flour. 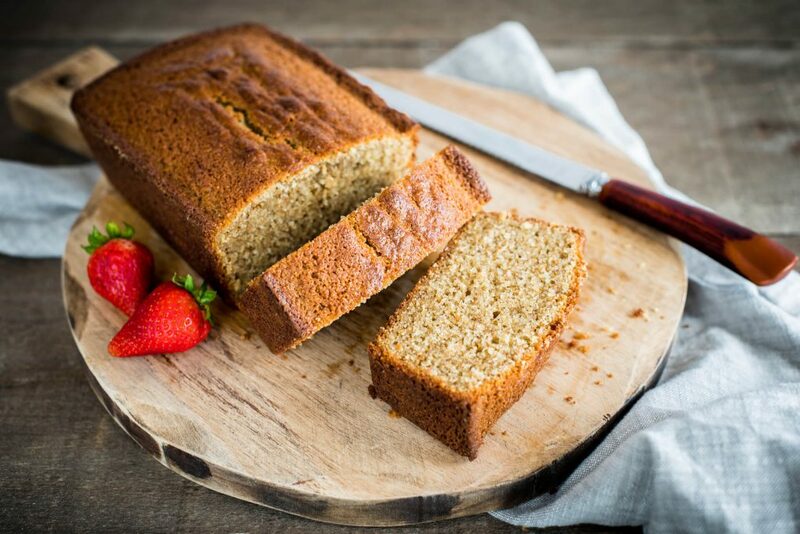 Chewy, dense, and delicious the pound cake is ideal for skewers, and even grilling! Fresh strawberries, and decadent chocolate drizzle make this dessert perfect for your next picnic, or garden party. 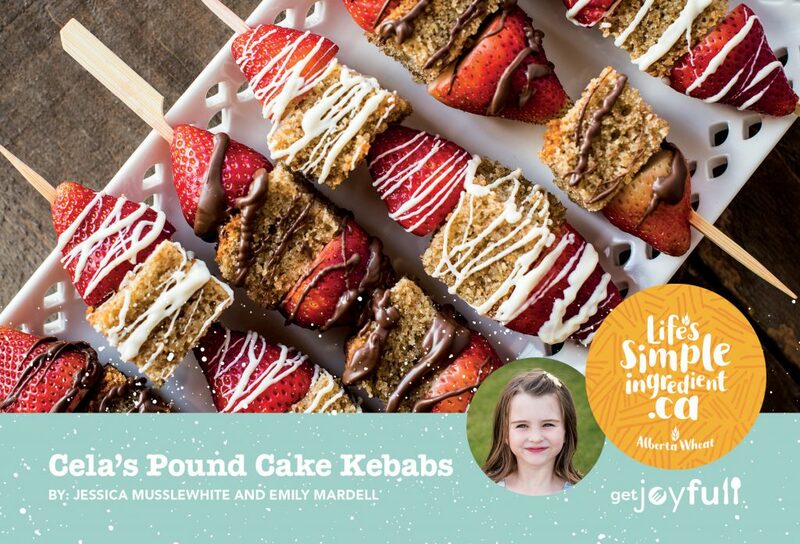 Tip: For a fun twist try grilling these kebabs on the campfire or BBQ this summer season. 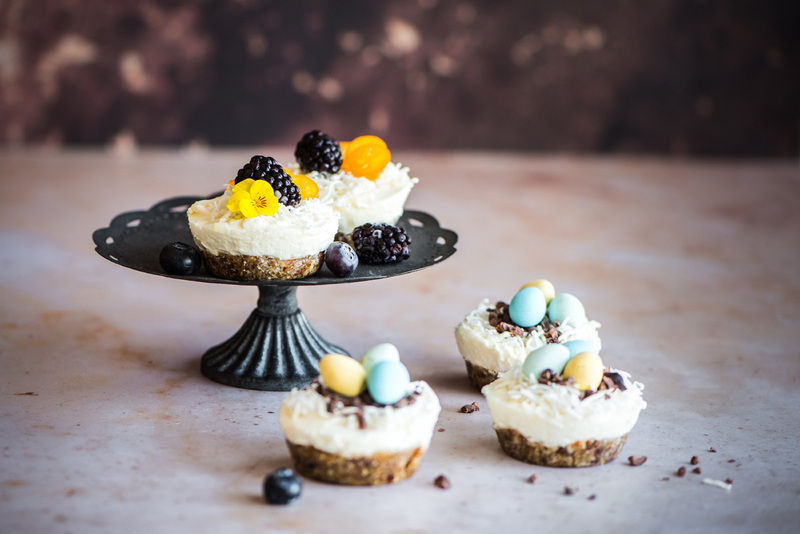 It’s so important to simply play with food. 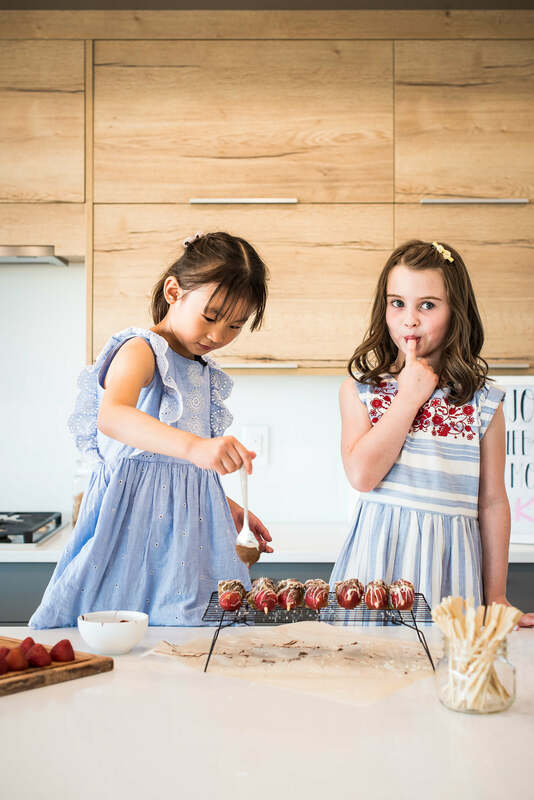 Through play, exploring in the kitchen, and cooking with kids we encourage a curiosity, and enjoyment of food that extends far beyond fueling the body. 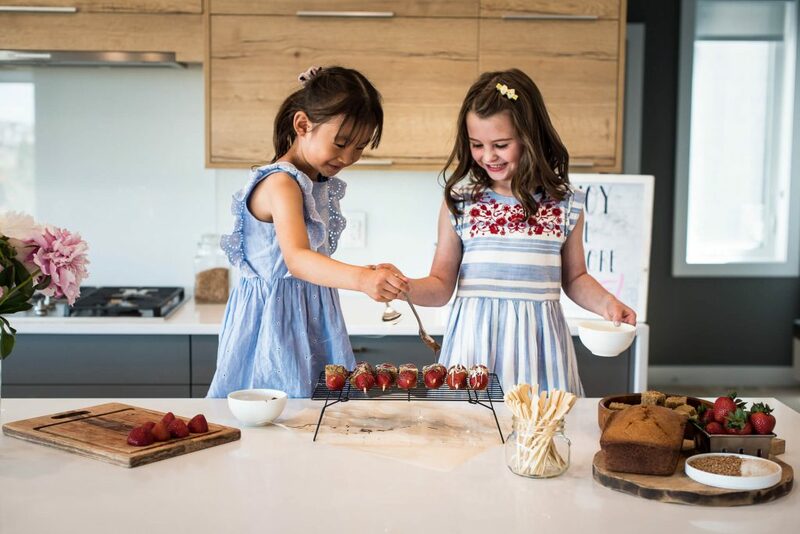 As I watched my Cela, and her friend Kelsey dangle, and swirl chocolate over fresh berries and pound cake – faces bright, and full of carefree smiles – I am reminded that food joy, and nutrition can and should go hand-in-hand. 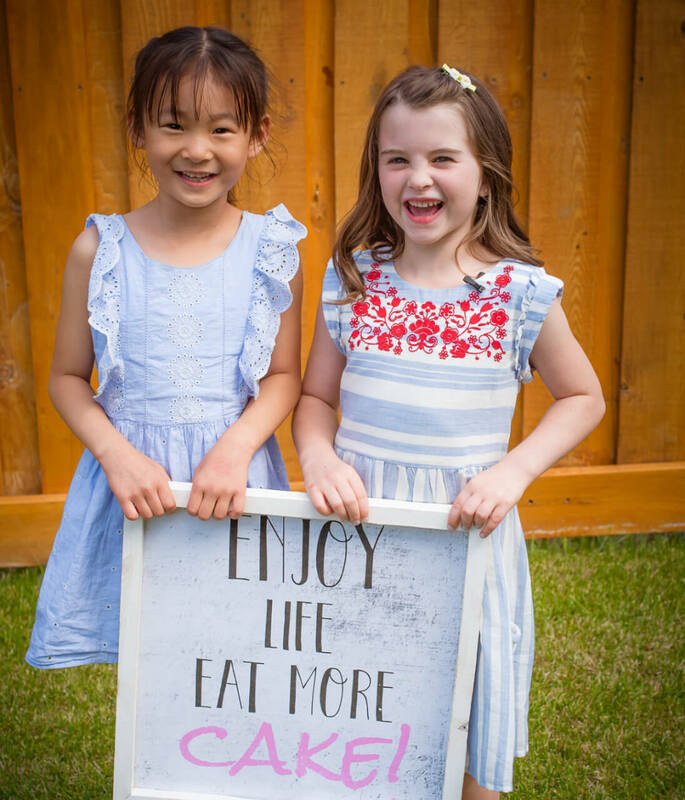 ‘Enjoy life, Eat more cake.’ Sage advice courtesy of two very competent, and “joyfull” six-year-olds. We’d like to thank our friends at Alberta Wheat and Life’s Simple Ingredient for making this GetJoyfull post possible. As always don’t forget to Fill up on Family Time !